I didn’t know much of Allen Ginsberg before reading Bill Morgan’s excellent 2008 biography I Celebrate Myself. Ginsberg seemed at best a minor talent in a discipline I knew little about, at worst a mentally ill crank. But Morgan’s book drew me in deeper and deeper, and I soon saw the genius of Ginsberg, a genius manifested in both his art and his life, which I assume Ginsberg would say were one and the same. Ginsberg’s humanity shines through in Morgan’s work – generosity, kindness, creativity, eccentricity, but mostly a dedication to live fully and richly without excuse. In this age of greedy hucksters passing as ‘artists’, Ginsberg was the real deal. A fascinating human being in the best sense of the word. So I was particularly interested when The National Gallery of Art published Beat Memories: The Photographs of Allen Ginsberg. From the late 40’s through the early 60’s, Ginsberg made many photographs of his Beat friends – Kerouac, William Burroughs, Neal Cassady, Gregory Corso – and did so with a great photographic eye and an uncanny sense of the importance of everyday events, what he referred to as “certain moments in eternity.” The photographs were meant for his private use, “keepsakes” with no further value than as personal documents of private moments. Apparently Ginsberg put down his camera in 1963 and didn’t routinely pick it up again til the 1980’s, when, with the help of his friend Robert Frank, he edited and printed a series for exhibition at the Holly Solomon Gallery in New York. Adding extensive handwritten inscription on each exhibition print, the series is quotidian documentary photography at its best – immediate, warm, human, casual, funny, sad – and always visually arresting in its lack of artifice. 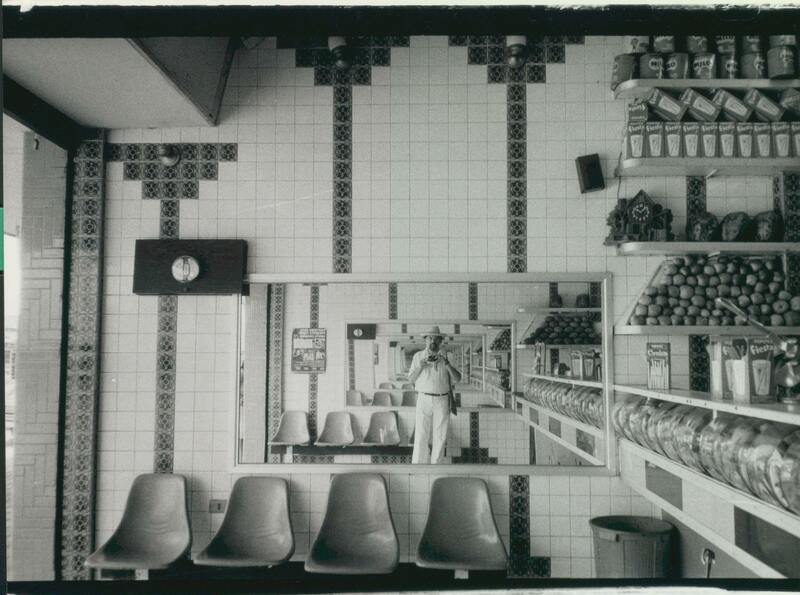 Ginsberg, ever humble, questioned the importance of his photographs and deferred questions about this aspect of his creativity by agreeing with Robert Frank’s assertion that “photography was an art for lazy people.” And it can be. But the best photography, work like Ginsberg’s, transcends the simplicity of its making and gives us something new to see, something that is more than the sum of what it represents. 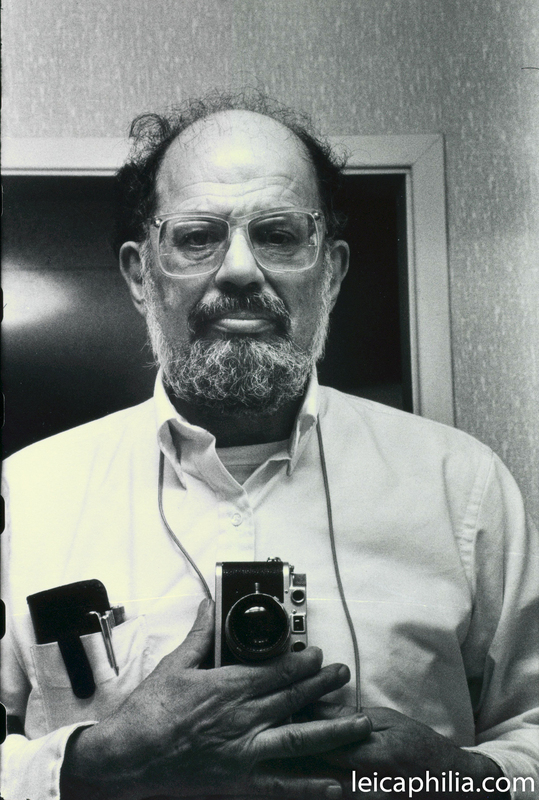 This entry was posted in Documentary Photography, Famous Leica Users, Leica, Leica Photographers, Leica Rangefinder, Selfie and tagged Allen Ginsberg, The Beats on March 28, 2014 by Leicaphila.